Imperator Nikolai.In an attempt to create a Tier IV battleship that can fight in Tier VI matches, which ended up being so overpowered that Wargaming decided that the ship will never be on sale again. Carrier players are well advised to target any enemy Nikolai first, as its awful AA defense is its only real weakness compared to other battleships of its tier, and the longer it's left alive the more friendly ships it can wreck. Some of the things that make Nikolai so powerful include the fact that its unusual turret arrangement allows for 9 out of its 12 guns to be brought to bear while heavily angled, combined with its armored belt extending all the way to the bow (where it's 100 mm in thickness). While the bow plating above the belt can be overmatched by 14" guns, shells hitting the front of Nikolai's bow at the waterline will always bounce. With 100mm thickness, even Yamato's shells would autobounce when hitting bow-on. Nikolai also has deck armor of precisely the right thickness (35mm) to guarantee that cruisers within its matchmaking spread will always do zero damage with HE if they hit the deck (though zero-damage HE hits can still start fires). Normally the solution to this is to aim at the superstructure (the best place in general to aim at a battleship when you're in something other than a battleship), but Nikolai barely has a superstructure. The only places a cruiser can shoot Nikolai and do any HE damage at all are the bow plating (so long as the shells don't go low and splatter off that belt) and the funnels, the latter being such a tiny target that you'll only ever hit them by accident. Bear in mind that HE is the standard method for a cruiser to do damage against a battleship, since unless it's completely broadside-on to them their AP will have a hard time penetrating. In addition, Nikolai also has some of the most accurate guns in the entire game, having a 2.0 Sigma rating note , making more accurate than Tier X ships. The funny thing is that when Nikolai was introduced few players suspected that it would be strong, since they didn't notice just how angled the ship could be while still getting most of its guns to bear, the guns have a quite low rate of fire (35 second reload) and just looking at the maximum thickness numbers (this was before armor viewer was introduced to the game) made Nikolai's armor seem like it was merely average for Tier IV. 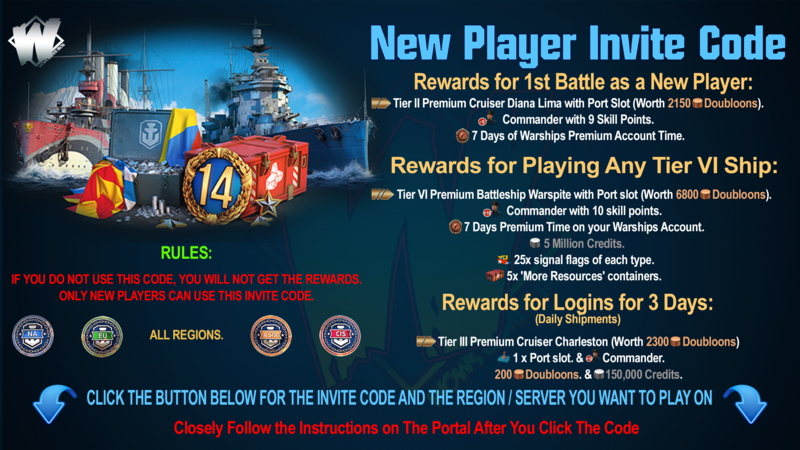 What makes matters worse is that a later patch changed matchmaking to guarantee that Tier IV ships would never be put into games with Tier VI ships, meaning Nikolai ironically never has to face the ships it was specifically designed to fight, making it all the more powerful. Gremyashchy. :The Tier V premium Soviet destroyer. It was considered as balanced in closed beta due to its great gun performance being offset by having the worst turret traverse speed for a destroyer (36 seconds for the B-13 turret to rotate 180 degrees) and torpedo range (8km) being between Minekaze (when equipped with its longer-ranged, but slower, 10km torpedoes) and Nicholas...then Lesta removed the 10km torpedo from Minekaze, globally buff turn radius which indirectly nerfed US destroyers due to higher difficulty of hitting enemy because US DD's bad shell velocity for their 5-inchers was only balanced for pre-buff turning radius, and after Russian destroyers have their guns nerfed, said nerf didn't touch the Gremyashchy, which end up resulting in the Gremyashchy becoming the most powerful Tier V destroyer in the game. If you're not sure how bad it is, Tier VI Anshan is basically uptiered Gremyashchy with nary any stat changes (though it shares the post-nerf detection bloom as the other 130mm-armed Russian destroyers on the tech tree) and it can still compete. 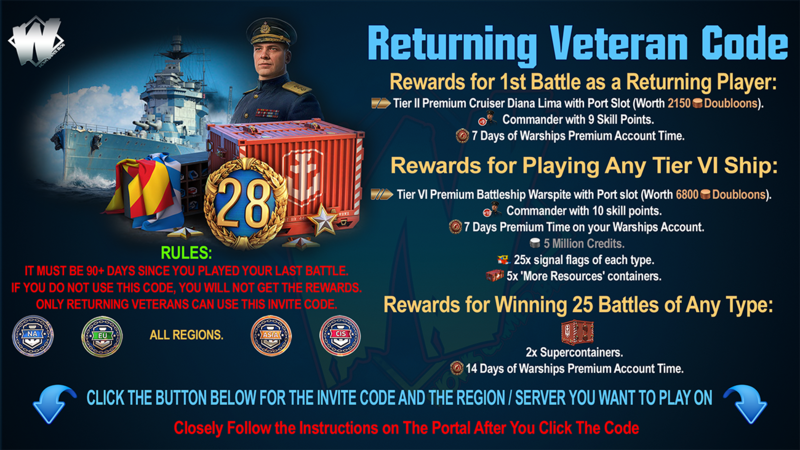 Finally, all three Close Beta access ships (the Gremyashchy, Sims, and Yuubari) have a 1 year exclusivity period before they will be on sale again...then Wargaming came out and say that they're very reluctant to put the Gremyashchy on sale again, unlike the other two. However, as of Patch 0.6.2, stealth firing has been removed which significantly brings down Gremyashchy power level. But even after that, Gremyashchy is still basically a better version of Gnevny. Sitting at Tier 5 while Gnevny is Tier 6. Tirpitz, the Tier VIII German battleship, is the most expensive premium ship in the entire game, and it certainly has the performance to back it up. The reason it's so strong is because it wasn't play tested in its current form. The developers had modeled and had balanced her more famous sister the Bismark with the intention of building a whole German battleship line in the near future. It was decided that adding a premium German BB would help promote this line, and turning their work on Bismark into Tirpitz was the easiest way to do that. The problem is that Tirpitz was heavily modified during construction after the famous loss of her sister, which allowed Tirpitz to be superior the the Bismark in many ways but not suffering any consequences for those improvements. So Tirpitz ended up getting more AA, a much better rudder, and torpedo launchers with no negative effects. While the 6km range of the torpedoes is nothing special, in a close-range brawl (Tirpitz's specialty) their high damage output makes them basically equivalent to getting citadel penetrations with all 4 forward guns. To make matters worse the German BB line and with it the free Bismarck were postponed in favor of other ship lines, making Tirpitz not only a powerful ship but a very unique one too. And then Patch 0.6.4 buffed Tirpitz's secondary range to the same 7.0km base as Bismarck, even further improving her lethal brawling power. And then Bismarck and Tirpitz 'both got their base secondary range increased to 7.5km. This was to compensate for the fire chance of German 105mm secondaries getting globally nerfed to correct their stupidly high fire chance of 9% (almost certainly a typo that never got caught before) down to 5%, but whether a typo correction should be compensated at all is dubious. When German battleships finally came around, people were in for quite a shock when they saw what Bismark could do. As expected it loses Tirpitz's torpedoes but go use of a unique consumable (for battleships), in the form of hydroacoustic search (and German hydroacoustic search has better range than other nations). Unexpectedly it received better speed, better AA, and better secondaries as well. These last two are particularly confusing as they are seem to represent the improvements made to Tirpitz because the actual Bismark sucked at them. The combination of hyrdo and much-improved range for secondaries have made Bismarck fairly overpowered, as with the right captain skills and a competent player destroyers have a hard time safely attacking. The base range of the secondaries is 7.0km (compared to 4.5km for Tirpitz despite their being literally identical guns), and with a combination of Secondary Battery Modification 2 (+20% range buff to secondaries), the Advanced Firing Training captain skill (another +20% range buff) and a Mike Yankee Soxisix signal flag (5% range buff) that can be increased over 10km, with as a bonus similar improvements to rate of fire and dispersion of the secondaries. Any destroyer that gets detected while making a torpedo run will get rapidly lit up by the secondaries, and very possibly sunk without the Bismarck player even taking direct action against them. If destroyer tries to hide in smoke, Bismarck is well-equipped to simply charge into the smoke after it to kill the destroyer and steal its smokescreen (a tactic that would be outright suicidal for most battleships) because with hydroacoustic search activated everything within 5.58km gets auto-detected. And against cruisers and other battleships those same destroyer-melting secondaries (which amount to having a Tier VI cruiser strapped to the side of the ship) provide a pretty reliable stream of bonus damage on top of what the main guns inflict. While they lack the massive single-hit damage potential of Tirpitz's torpedoes, Bismarck's long-range secondaries tend to inflict more damage over the course of a battle. While Tirpitz has the same potential damage output from secondaries, the shorter range (with all possible range boosts, Tirpitz can't fire its secondaries as far as a stock Bismarck!) means that they'll never actually achieve that potential the way Bismarck can. Nor is it just a matter of comparison to Tirpitz; none of the other Tier VIII battleships have secondaries with range as good as Bismarck. In fact, Bismarck has better secondaries than most Tier IX ships. However, more recent patches have reduced the range of Bismarck's hydroacoustic search and given Tirpitz the same base range for secondary guns, putting both ships more on par with each other...and leaving both of them still overpowered compared to the rest of Tier VIII battleships. Konig Albert, the Tier III premium German battleship, is seen as being a lesser version of Imperator Nikolai when it comes to brokeness, being essentially a Tier IV ship that's ranked at Tier III. Basically it's a Kaiser with only slight nerfs that don't at all make up for the more favorable matchmaking (Konig Albert will never face higher than Tier IV opponents). While every other Tier III battleship can fire a maximum of 8 guns at a target, Albert can fire 10. Albert has the best armor of any Tier III ship. often by a wide margin. It's also the fastest Tier III battleship, outpacing several cruisers at its tier. And it has the strongest secondary battery in its tier. These are supposed to be balanced is a surface detection range longer than its max firing range and poor shell dispersion, but the rest of Tier III aren't actually much better in those areas and those weaknesses don't really come into play if Albert is used for close-range brawling, the basic specialty of German battleships. This eventually resulted in Albert being permanently removed from sale. Flint, a Tier VII premium American cruiser that's the reward ship for getting Rank 1 in 3 separate seasons of Ranked Battles. It's a modified Atlanta that loses the wing turrets (thus 2 fewer guns per broadside) in favor of better overall AA. Okay, nothing OP about that. Atlanta has massive DPM potential but falls firmly in the Difficult, but Awesome. Its torpedoes have just over double the range of Atlanta's. Useful, but still not OP since it can't fire from stealth. Or can it? Here's where the game gets broken wide open. While neither the torpedoes nor the guns have the range to attack targets without being detected in the open, Flint is just one of three non-British cruisers in the game that can lay a smokescreen. And it's an amazingly good smokescreen, giving 2 and a half minutes of invisibility and once the smoke dissipates there will only be 30 seconds left on the cooldown before it can lay another smokescreen (if premium consumables are used). A destroyer firing out of a smokescreen and lighting ships on fire with HE shells can be extremely dangerous, especially fast-firing American and Russian destroyers. Flint doing the same thing is equivalent to two invisible Tier X Gearings firing from invisibility...against Tier VII opponents. To make matters worse, as a reward ship only highly skilled players can even get their hands on a Flint and thus anybody playing it will likely be able to get the most out of it. The introduction of the Inertia Fuse for HE Shells (IFHE) skill just makes Flint even stronger, allowing the HE to cause direct damage whenever it hits armor plating up to 27mmnote ...which is what the extremities and decks of most Tier VII and below battleships are covered in. And then the IFHE skill got buffed, so that instead of losing 3% of its fire chance, Flint and every other ship with 139mm or smaller guns the reduction is only a paltry 1%. Kamikaze and its Halloween-themed twin Fujin have now joined Nikolai and Gremyashchy on Wargaming's "too OP to sell" list. (Kamikaze R, a reward ship version of Kamakize, was only ever available once to begin with.) The very similar Minekaze was still considered overpowered after losing its 10km torpedoes, because of its stealthiness and the 7km torps being quite fast at 68 knots. This changed in November 2016, when the 68 knot torps were replaced with 57 knot ones that also do less damage. This transformed Minekaze from one of the best non-premium destroyers to one of the worst. But while Minekaze got dramatically nerfed, the Kamikaze triplets...didn't. As usual, premiums don't get nerfed. Basically they're the same ships as the pre-nerf Minekaze, with the main difference being that they're even stealthier. Their performance (in terms of win rates and damage dealt) is so close to Gremyashchy as to be statistically insignificant. While they're much more specialized than Gremyashchy and would be at a distinct disadvantage against it in a 1-on-1 duel, they're very good at what they specialize in: being ninja torpedo assassins. Belfast is generally considered to be the most overpowered Tier VII cruiser. First of all, unlike her regular British counterparts, Belfast can fire both AP AND HE shells, already making her far more versatile. Not only that, but she can also take smokescreen, hydroacoustic search, AND radar consumables at the same time! Finally, for some inexplicable reason, Belfast also has access to the Tier VIII upgrade slot, allowing her to mount the Concealment Module. With a full stealth build, Belfast can reduce her detection range to 8.7km. Combined with the fact that her radar has a range of 8.5km, and Belfast becomes the ultimate destroyer hunter. If a Beflast is detected by an unseen destroyer, it needs only to pop the radar and within a couple of seconds the destroyer will also be detected. In addition, with the sheer number of consumable she can mount, a popular tactic for Belfast players is to deploy their smokescreen and then use their hydroacoustic search to detect incoming torpedoes while using their radar to detect threats to fire out. If positioned close enough to the enemy, Belfast can (unlike nearly all other ships) reliably spot for itself from inside of smoke. Suffice to say, even though Belfast has relatively weak guns, her ability to fire from within smoke and the sheer fire rate of 12 such guns gives her massive damage potential. And then there's the prevalence of multi-Belfast divisions, staggering their smoke to remain hidden and staggering their radar to spot the enemy more frequently. Another popular choice is to include 1 Fiji or Atlanta with 2 Belfasts in a division; while they can only provide either smoke (Fiji) or radar (Atlanta) rather than both at once like Belfast, their torpedoes cover the the one major weakness of Belfast by providing an immediate alpha strike in case a battleship charges headlong into the smokescreen. Mikhail Kutuzov was added to the banned premium list despite once being considered quite underpowered note . She really doesn't look like much, most mistake her for Chapayev that trades radar for smoke. However the Kutuzov boasts way better torpedoes and has a lower citadel that pus her among the talkiest cruisers of her tier. To top it off she has the best AA of cruisers in her tier and can mount defensive fie and smoke at he same time. This makes her counterintuitively a much better open water cruiser than not only Chapayev but most its tier mates as well, but she still gets a smoke screen if she needs one. To top it off Kutuzov's guns have vastly superior range to the other tier VIII cruisers and remains accurate up to the maximum range of of her guns. The end result is a rapid fire sniper that's very good in a brawl and can disappear in a puff a smoke three times a game. Quite literally no ship type is strong against a Kutuzov. Battleships can't hit her, she can murder Destroyers in a second, outrage other cruisers, and shoot down every plane flying near her. Kidd has quickly earned a reputation as being one of the most powerful Tier VIII destroyers in the game. She is essentially a Tier IX Fletcher with one torpedo launcher, but she makes up for the lack of torpedo power with an insanely high AA rating for her tier and the inclusion of the Repair Party consumable. The ability to heal herself means that Kidd can afford to be extremely aggressive in destroyer fights and take fights that would normally get any other destroyer sunk. Her extremely high AA rating, combined with Defensive AA Fire, allows her to mow down even Tier X aircraft. Giulio Cesare is widely considered to be the most overpowered Tier V battleship. Specifically designed to be able to stand up to Tier VII ships, Giulio Cesare is fast, maneuverable, well armored, and has very accurate guns. However, the fact that she can take on Tier VII ships means that she is leagues above her fellow Tier V ships, making her extremely overpowered at her tier. Missouri is basically a carbon copy of Iowa in all respects except for one critical difference: Missouri can mount the radar consumable. Suffice to say, having radar means Missouri can more easily engage and sink destroyers, which are supposed to be the intended counter to battleships. And since Missouri still retains Iowa's thick armor and high AA protection, she has very few (if any) weaknesses. Nearly all premium battleships are game breakers from economical standpoint. Battleships earn money at a higher rate than than other ships which is normally offset by the fact that they have high repair costs and have to put their hit points in the game to be effective. Premium ships multiply the amount of credits earned and reduce repair costs. This allows premium battleships to rake in piles of credits. For similar reasons, if you're dying to get a premium camouflage, you will get better saving and earnings for battleships and aircraft carriers than you will other ships. Most of the Soviet era cruisers, which have some of the highest win rates in the game. While all but the tier X one are poorly armored compared to American and Japanese standards (and substandard turning circle and rudder shift), they are still better armored than the Germans and have sizable health pools. This isn't really a problem for Soviet cruisers though, since they all have excellent long range guns. The problem is that they also can do well if forced into a knife fight, as they are equipped with fast "knife-fighting" torpedoes and their guns have good traverse speed, and their AP rounds have deceptively high penetration. The Shimakaze was a very big one until it was recently re balanced. Like all Japanese destroyers it has a torpedo range that exceeds its detection range, but none can quite compare to Shimakaze with a torp range of 20km and a stock surface detection range of 7.6 km. What made this overpowered is that these torps were also blindingly fast and it can put 15 of them in the water in a single salvo, which combining with their low detection range makes it extremely hard to dodge them. This has since been rectified by increasing detection range of the long range torpedoes and decreasing their speed. Shimakaze players now have to choose between fast torpedoes with short range and lower detection range (which does put them in enemy radar range) and ones with extremely long range but with slower speed and high detection range that are therefore easy to dodge. 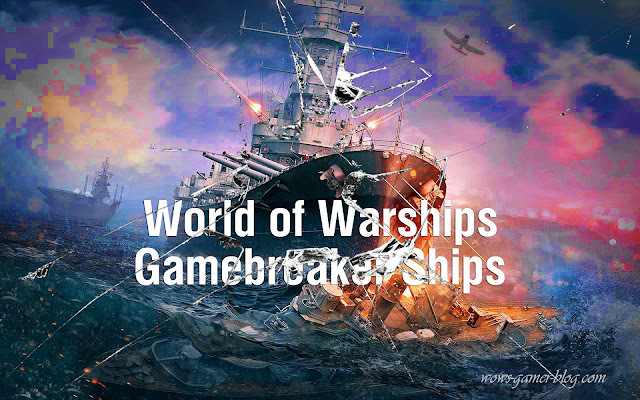 It's generally held by Shimakaze players that Wargaming overcompensated for its previous Game-Breaker status by going too far with the nerfs. The Khabarovsk is now considered to be one the bigger ones because its it is a much better brawler than any other destroyer. While it already had the most guns of any tier ten DD and had incredible shell characteristics combined with high speed, this was at least somewhat balanced out by its poor detection range and the extra firing bloom penalty that Russian destroyers got. However after the split of the Soviet destroyer line it was given the ability to trade its smoke screen for damage repair and all Russian DD guns were given an extra 200 points of HE damage. Now no other DD has even close to its gun DPM and can't beat it in a damage trade with its healing ability. While you would think the loss of smoke would make it vulnerable to cruisers, its fast speed allows it leave any situation where it would be vulnerable very quickly, along with making it difficult to aim at (often you have to aim so far ahead of a Khabarovsk that it's no longer on the screen to account for its extreme speed). To top it off its torpedo armament may be substandard but is still workable so bigger ships will still have to keep their distance. In addition, the Khabarovsk is both the most heavily armored destroyer in the game and the fastest ship in the game. Unlike other destroyers, which are completely composed of 13-19mm of armor, the Khabarovsk has a whopping 50mm of armor on a large portion of her hull, making her practically immune to low caliber guns and highly resistant to larger caliber guns of up to 203mm. This armor protection combined with her extremely high 40+ knot speed make the Khabarovsk almost impossible to hit and damage, much less sink. The presence of that 50mm belt armor and a larger HP pool than any other destroyer has led many players to say it's not actually a destroyer at all, declaring Khabarovsk to be the best light cruiser in the game, especially after the repair party option makes it play even more like a light cruiser. Wargaming has responded by nerfing Khabarovsk several times...but they refuse to touch that 50mm armor. Instead they greatly increased the rudder shift time to slower than most cruisers at 11.1 seconds (making it practically mandatory to mount the Steering Gears Modification 3 upgrade instead of trying to mitigate its lack of stealth with Concealment System Modification 1) to impede close-range brawling with enemy D Ds. Then they removed the option to mount 8km range torpedoes, requiring the use of suicidally short range 6km torps that are also very slow (but cause a lot of damage). This means that aside from surprise encounters when sailing around an island, the torpedoes will pretty much never be used. While these changes have closed the performance gap, they've also made Khabarovsk even less of a destroyer than it already was. It's not good for contesting caps and isn't particularly good at hunting enemy D Ds (because they'll all spot it long before being spotted themselves and run in the other direction), and since repair party is usually the better option it can't lay smokescreens for its allies. But it's great at peppering cruisers and battleships from maximum range and using its speed, armor and repair party to survive any return fire, pretty much keeping the guns firing for an entire battle and burning down as many ships as possible. To those who think the Flint is already bad, say hi to the Black, Tier IX American Destroyer that can only be acquired by getting to Tier 1 in 5 ranked seasons. She's a Fletcher with a higher damage torpedo that goes extremely slowly...and gets a radar. This means that she can easily flush out other destroyer from their smoke at much longer range than the German destroyers (who have to rely on hydro for that job). Even a nerf to her radar range and duration doesn't make people think she's balanced. The radar range might've been nerfed but it's still greater than the ship's own detection range, making it the only ship in the game capable of stealth-radaring enemy destroyers in open water. And its carrying both smoke and radar at the same time means Black can also self-spot from inside its own smokescreen, an ability shared only by Belfast (considered overpowered in its own right, but at least Belfast has some weaknesses). Repeated calls (including from the very unicum players who were going to be among the first to receive a Black of their own) to put the radar in the same consumable slot as smoke instead of letting it carry both simultaneously were ignored. The Clemson is by far the most powerful Tier IV destroyer. When fully upgraded, Clemson make all four of her guns double barrelled, effectively doubling her firepower. This means that she can potentially bring six guns to bear on a target when other destroyers can only get three to five. Plus, three of her turrets are mounted on her front arc, so she can point directly at her opponent to minimize her profile while still being able to consistently get four guns on her target, while other destroyers can only manage one or two if they try the same tactic. Coupled with her high speed, Clemson is capable of chasing down and outgunning any destroyer she can face, and she's only grown more powerful now that Tier IV ships have protected matchmaking against Tier VI. Due to her superior firepower and the fact she is not a premium ship, Clemson has become a favorite among sealclubbers. Even moreso after the main competitor at Tier IV, the Japanese Isokaze, got her previously slightly overpowered torpedoes substantially nerfed. The Tier IX and X Japanese carriers Taiho and Hakuryu are widely hated among non-CV players (and among players of American C Vs for that matter), mainly due to their ability to bring three squadrons of torpedo bombers. With three squadrons, Taiho and Hakuryu players can simply stack the drops on top of each other to deal massive damage to larger ships, or cross drop them in multiple angles to get hits on smaller more nimble ships. The Saipan is considered the most overpowered Tier VII carrier since she carriers Tier IX planes. Naturally, Tier IX planes have much higher stats than Tier VII planes, and are more resistant to anti-aircraft fire from Tier VII ships. With faster and more powerful fighters, a Saipan can easily seize control of the skies. This was compounded in a later update where carriers could disengage their fighter squadrons from a dogfight using the oddly-named "strafe" mechanicnote but would have to suffer the automatic loss of one plane, but the Saipan was specifically exempted from this downside, so her fighter squadrons can disengage freely. The Tier IX and X British battleships Lion and Conqueror have quickly been seen as this shortly after being introduced to the game, as they beat their other similar tier battleships in almost every parameter. Their HE shells have double the damage and fire chance, their AP shells have better normalization angles and short fuses to reduce overpenetrations, they have extremely high concealment that's better than half the equal tier cruisers, their citadels are underwater making them practically impossible to hit, and they have extremely powerful repair party consumables that can heal up to 60% of their HP in mere seconds. Coupled with the fact that the ships have no clear weaknesses, it's not surprising that they have shot up to the top of the leaderboards just weeks after being implemented. In terms of captain skills, there is general consensus that the Inertia Fuse High Explosive (IFHE) skill makes any ship with low caliber guns a potential Game-Breaker. Due to how it worksnote , IFHE allows low caliber guns of up to 155mm to penetrate large sections of battleships with their HE shells that they weren't able to before, significantly boosting their damage potential for the relatively minor (for 150-155mm guns) loss of 3% fire chance. The biggest winners from the introduction of IFHE are considered to be a pair of already very powerful premium cruisers, Belfast at Tier VII and Mikhail Kutuzov at Tier VIII, followed by Mogami with the stock 155mm guns equipped (particularly after patch 0.6.4 when 155 Mogami's previously horrific turret traverse was buffed to a reasonable level) and Atlanta/Flint (whose 127mm guns more often than not caused zero damage when firing at battleships because of their small diameter; 3% lose in fire chance is huge for shells that only have 5% chance to begin with). It's also considered practically mandatory for the Tier VIII Japanese destroyer Akizuki, whose 8 fast-firing 100mm guns are incredibly lethal against Tier VII and lower destroyers but struggle to do damage against Tier VIII and above...until IFHE is applied, at which point not even Tier X destroyers are safe if they encounter an Akizuki at knife-fighting range. When first introduced for testing, IFHE was considered a pretty lackluster skill. Instead of a relatively minor 3% reduction in fire chance it had a near-crippling (for 155mm or less shells) 6%note and only a 25% instead of 30% increase in penetration (which is just barely too little to allow a 152mm HE shell to penetrate 32mm the extremity armor that's so common on high-tier battleships). The seemingly small buff in the 2nd round of testing to the current version of the skill changed it from questionable value to borderline overpowered, even with the change from a 3-point to 4-point skill making it more expensive to employ. Then in update 0.6.11 the IFHE skill was buffed for guns of 139mm or lower caliber. While it's unchanged for larger-caliber guns, or DD-caliber guns the lose in fire chance is now only 1%, making even more of a no-brainer mandatory skill for Akizuki and Atlanta/Flint (as well as HSF Harekaze if the 100mm gun option is chosen), and possibly even a viable choice for Tier V through VII American and Russian destroyers and the Polish Tier VII Błyskawica. During the Closed Beta Test era, aircraft carriers in general were a notorious game-breaker, with such overwhelming strike potential that CV players would actually deliberately get their bombers shot down after completing a strike, because that allowed new squadrons to get in the air faster than flying back to the carrier, and each strike was an almost guaranteed kill of an enemy ship. Not helped by the fact that the matchmaking was much worse at that time, meaning a Tier X CV could easily get to pick on Tier VI enemies, and there wasn't even any guarantee that the enemy team would have a carrier of its own to counter them. A big part of the reason that CVs are considered to be in bad shape in the live version of the game is that the changes made to address this problem rendered them the hardest ships in the game to play well. The problem now is that a CV in the hands of an expert is almost as broken as the CBT-era CVs, but a CV in the hands of anything less than an expert is much weaker than before. This means that any team lucky enough to get a Unicum CV player on their side has dramatically higher odds of winning. Update 0.6.14 gave major buffs to non-premium American CVs (which had been notoriously underpowered relative to their Japanese counterparts since the Open Beta Test, finally removing the much-reviled unbalanced plane loadouts (which required the player to choose either an air superiority package with minimal anti-ship power, or a strike package with no fighters at all and thus completely at the mercy of the enemy CV) and also adding the option of AP bombs for their dive bombers at Tier VIII and up. In the process of this the Tier X Midway gained a second torpedo bomber squadron (the first time since CBT that any American CV could field 12 torpedo bombers at a time), which combined with AP bombs make it arguably even more broken than it was during its CBT notoriety. Tellingly, the week after 0.6.14 was the first time in the game's history that Midway averaged a higher win rate than the Japanese Tier X Hakuryu (itself previously seen as a Game-Breaker), along with averaging 15-20 thousand more damage inflicted per battle.